Ken Hochstetler didn’t have a grand plan to come back to his hometown of Goshen. The Bethany Christian High School (’79) and Goshen College (’83) alum spent the bulk of his professional career in eastern Pennsylvania, where his wife, Sue (Alderfer) Hochstetler (GC ’83) grew up. There, Ken received his Master’s in Business Administration from Lehigh University (Bethlehem, Pa.), and built a successful career in the financial services industry, focused on banking, insurance, investments and charitable services. In addition to his professional life, Ken was involved in a number of local secular and faith-based organizations. Then, in 2013, Everence Financial approached Ken about potentially becoming its new President and CEO — a position based at the company’s headquarters in Goshen. A Christian-based, member-owned organization, Everence helps individuals, organizations and congregations integrate finances with faith through its banking, insurance, investments, asset management, financial planning, and other financial services. Ken and Sue talked it over and, while it was difficult to leave their community in Pennsylvania, they felt the timing was right. Their children – both Goshen College graduates as well – had married and moved out of Pennsylvania. “The position sounded perfect for Ken,” Sue said. 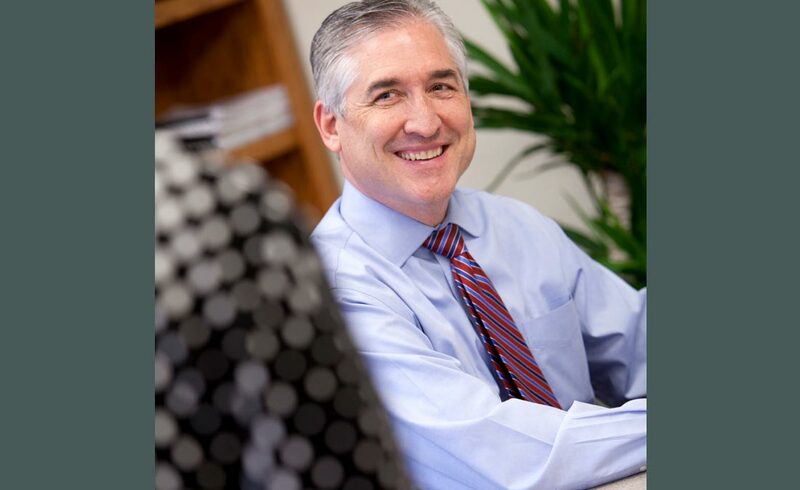 In late August 2014, Ken officially took the helm at Everence. Formerly known as MMA (Mennonite Mutual Aid), this faith-based financial services organization was founded in 1945 right here in Goshen. Today, it’s one of the largest professional employers in the city, with some 200 employees locally. Everence employs nearly 400 people in total, including approximately 25 offices across the country.